J. Livingstone-Learmonth: "There is high, consistent quality. This is a benchmark domaine, the wines possessing agreeable fruit and sound tannin. 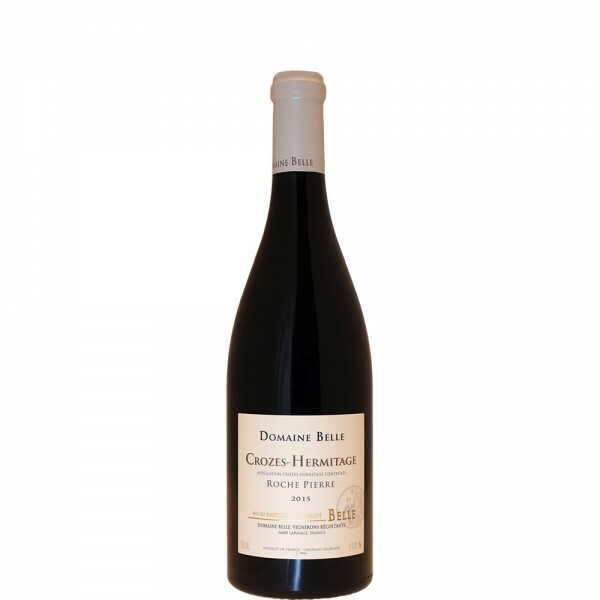 The style is modern, but there are complex implications..."
"Bottled just a week before my visit, the 2016 Crozes Hermitage Roche Pierre (old-vine Syrah on granitic soils, aged close to two years in barrel) seemed a bit reticent and tight. Pencil shavings frame plummy fruit in this medium to full-bodied effort. The suave, fine-grained tannins come close to being silky in feel on the lingering finish. This is the rare Crozes-Hermitage that's capable of rivaling Hermitage itself." Zitat J. Livingstone-Learmonth: "...There is high, consistent quality. This is a benchmark domaine, the wines possessing agreeable fruit and sound tannin. The style is modern, but there are complex implications, and some wines are STGT (Soil to Glass Transfer), notably those from Larnage, such as the 2013 Roche Pierre red and the 2014 Terres Blanches white. Excess oaking is no longer an issue..."